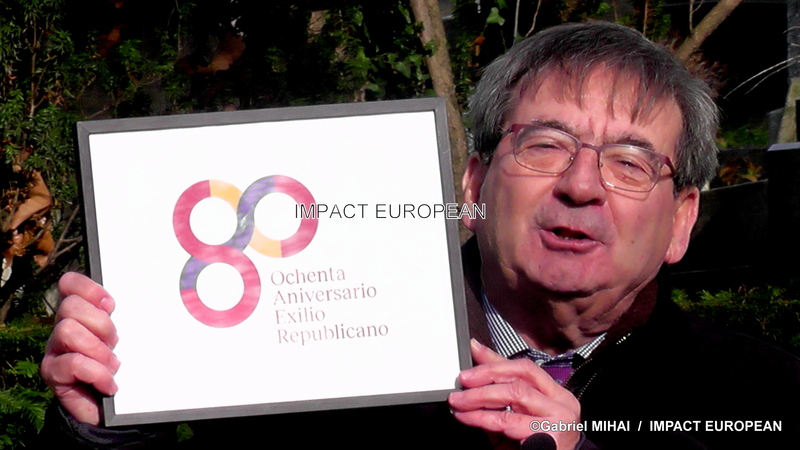 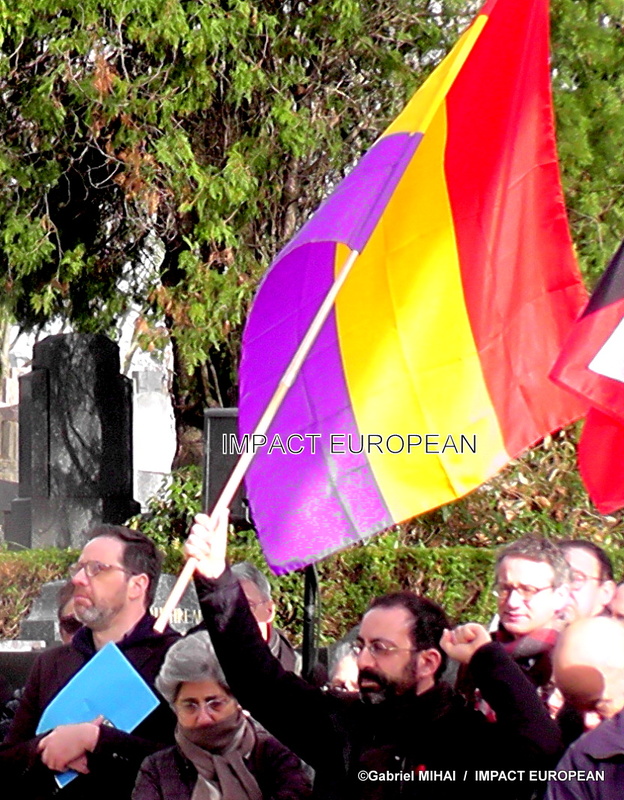 Saturday, February 9, the “Retirada” or exodus of refugees from the Spanish Civil War, celebrated its 80 years. 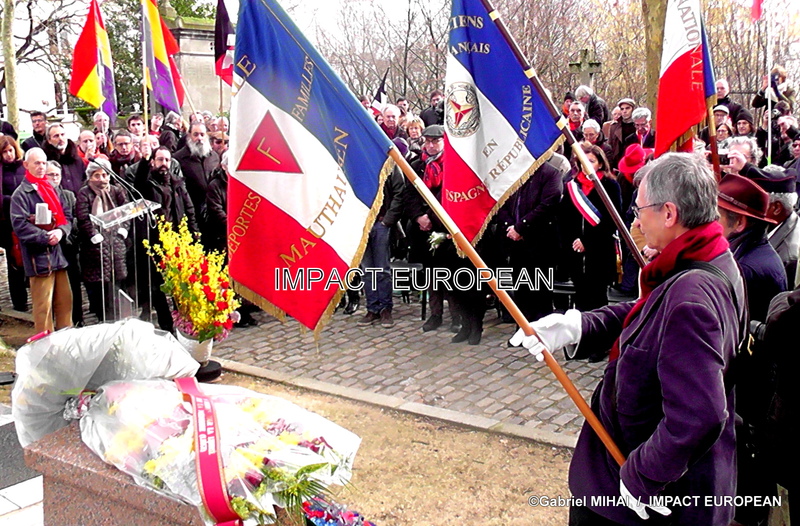 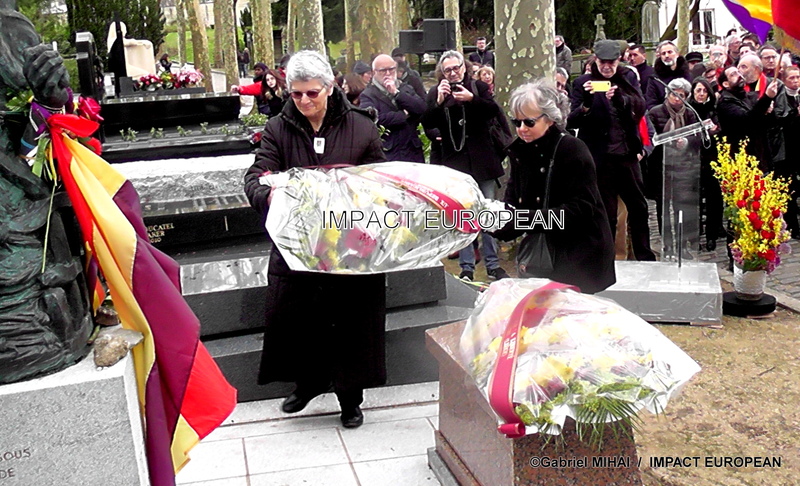 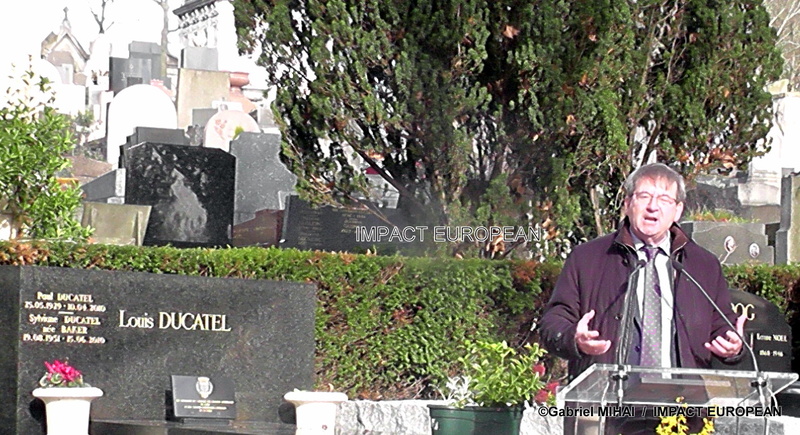 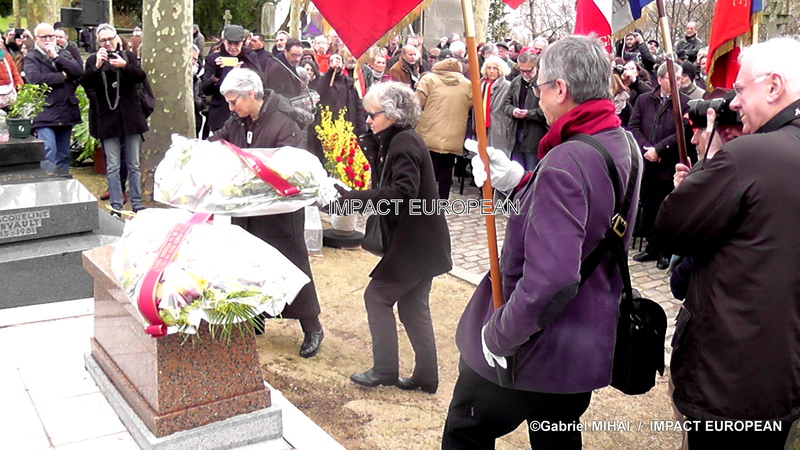 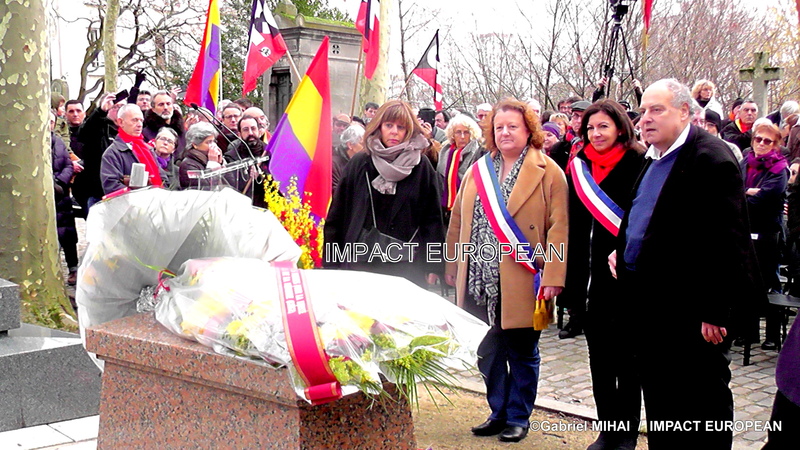 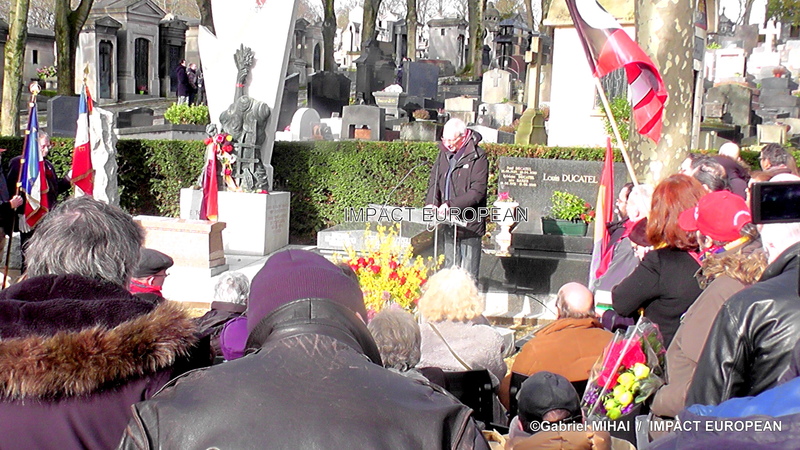 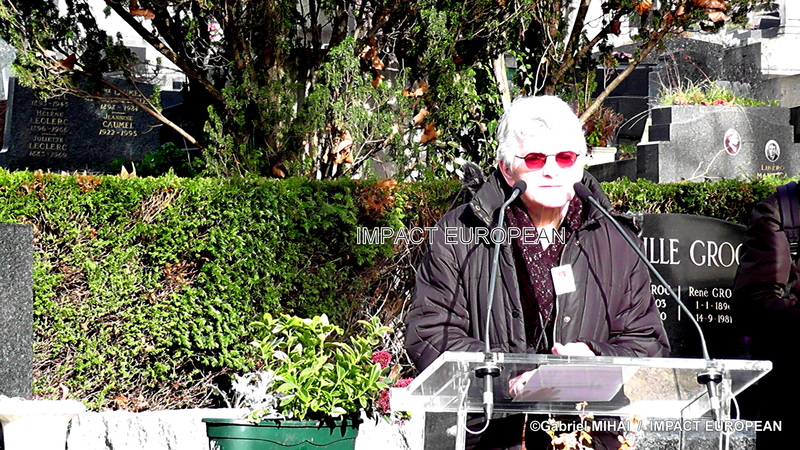 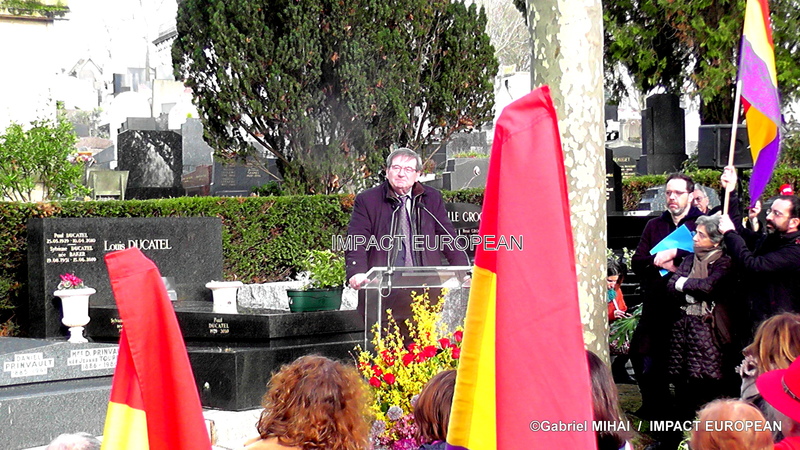 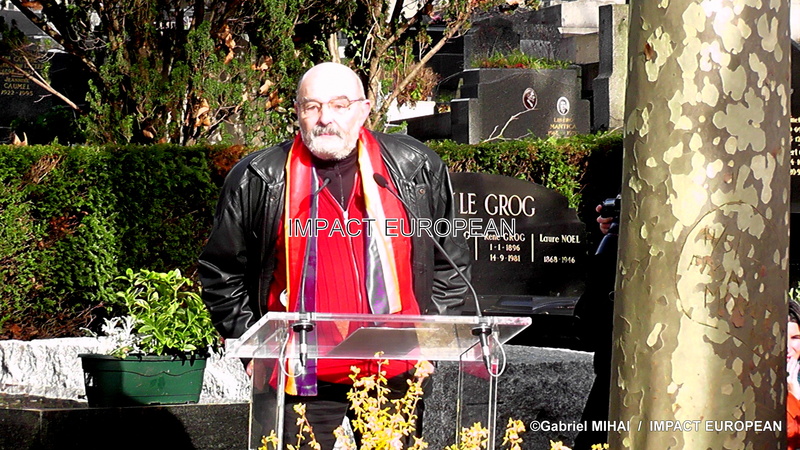 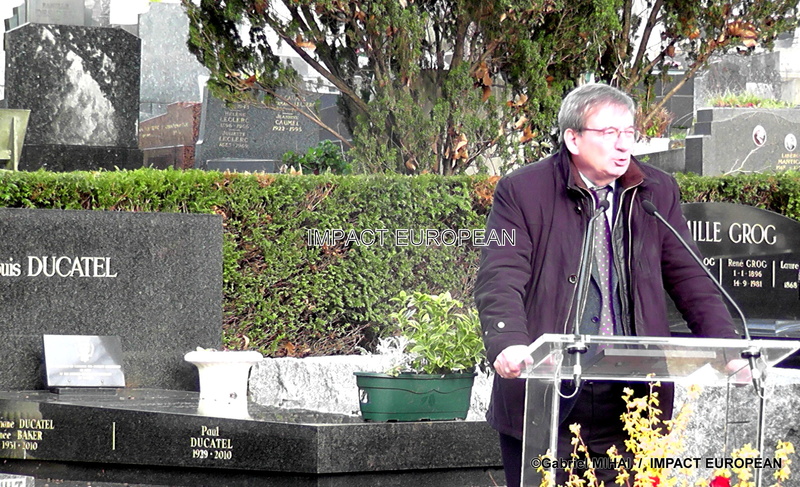 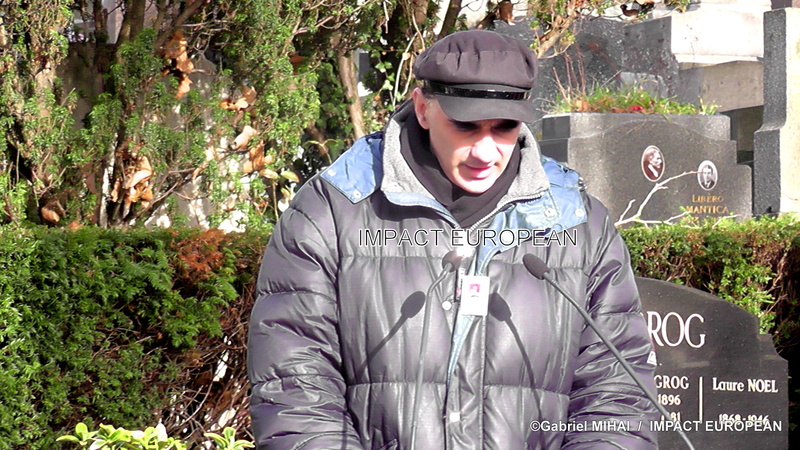 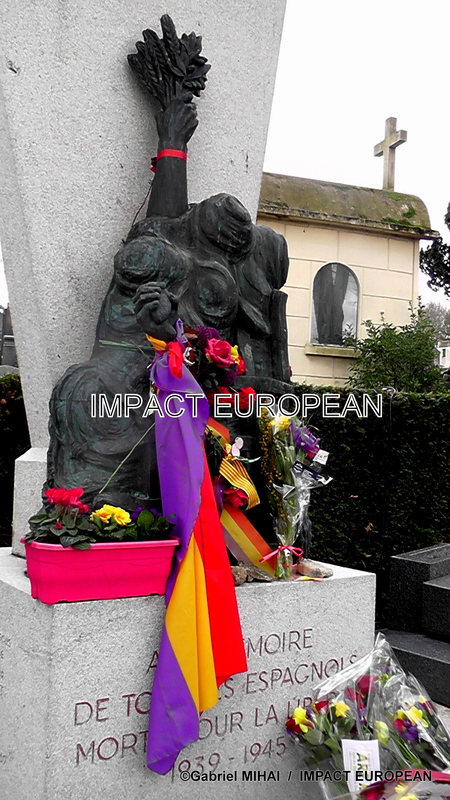 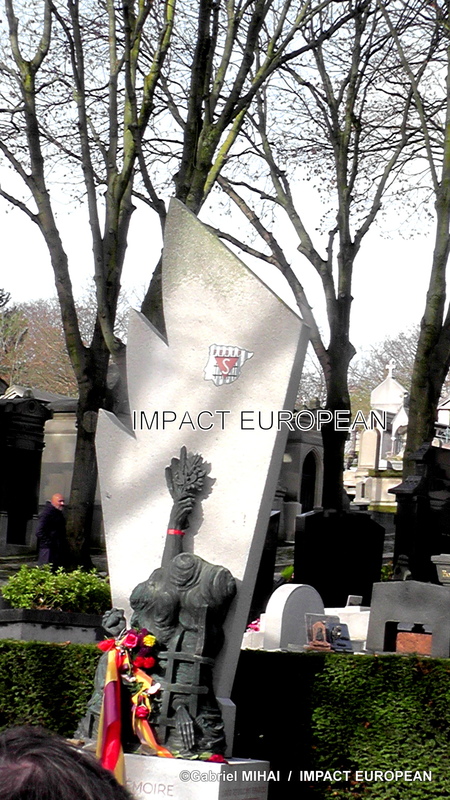 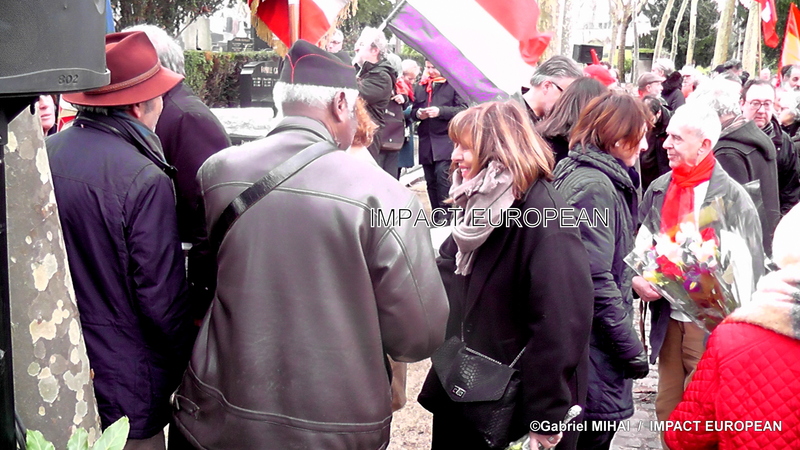 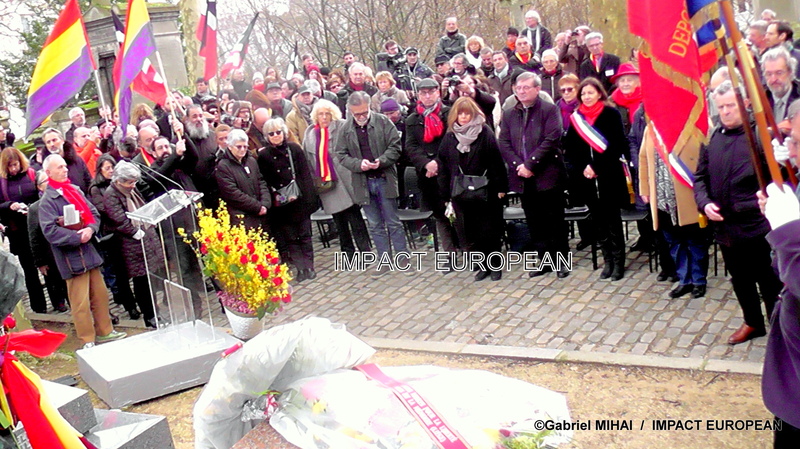 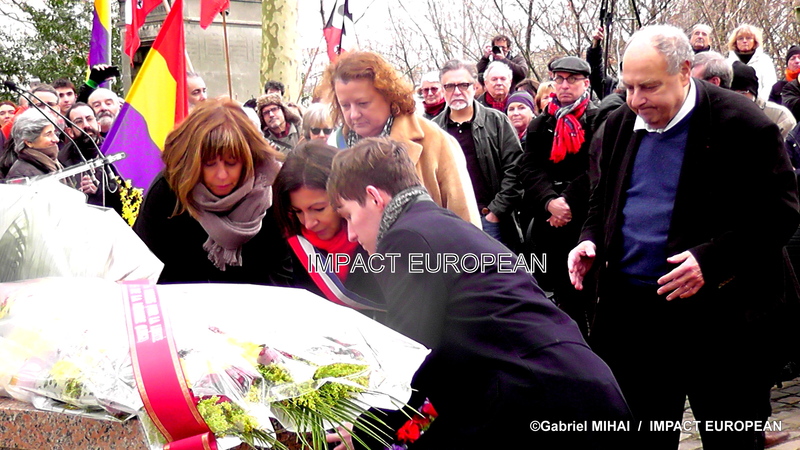 On this occasion, as every year, a ceremony is held at the Père Lachaise cemetery in front of the monument of the Spanish Federation of deportees and political internees in the square of deportees and communists. 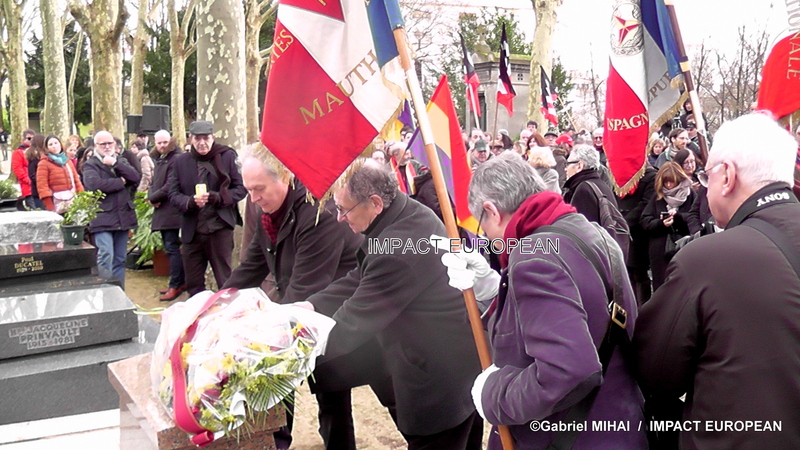 This year is special because it is about the commemoration of the “Retirada”, that’s why many cultural events will take place throughout the year 2019 to pay tribute to the Spanish Republicans who fled the Franco regime, repression and bombing in early 1939. 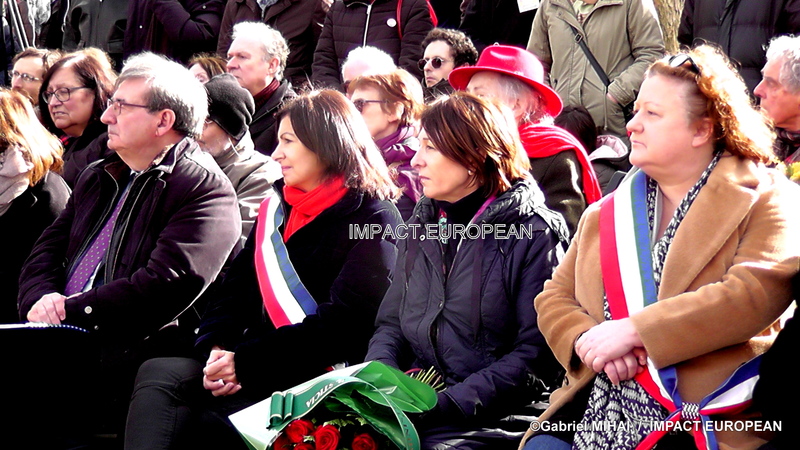 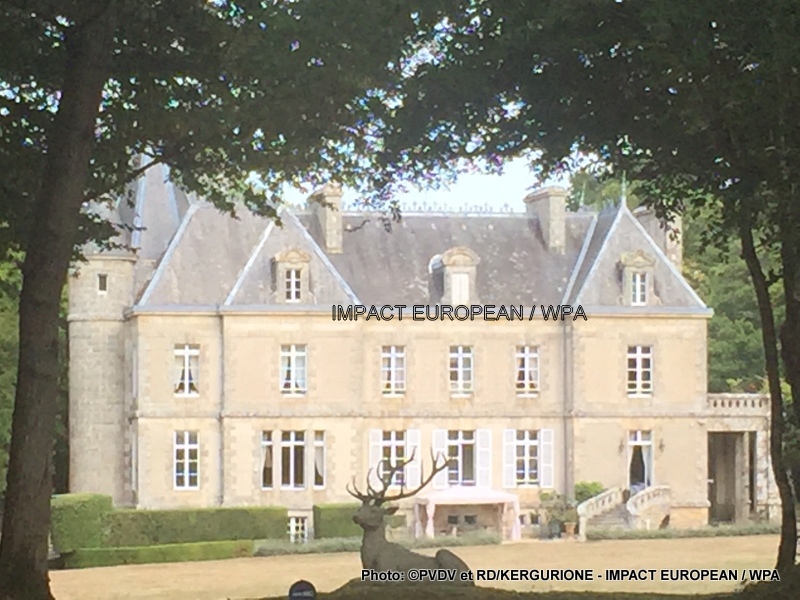 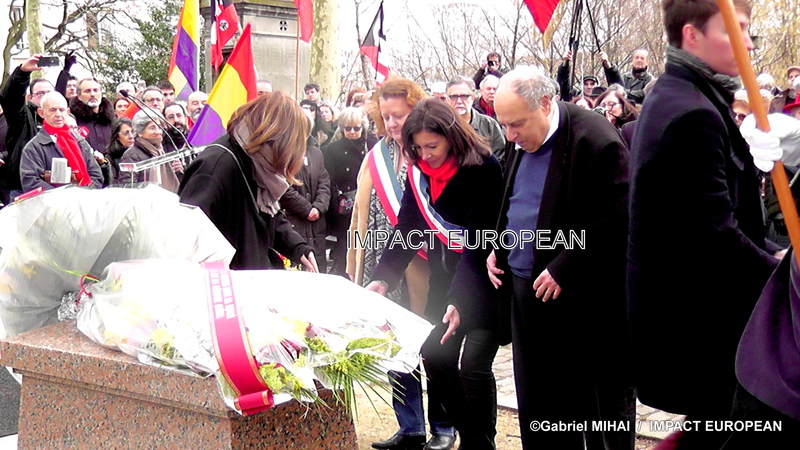 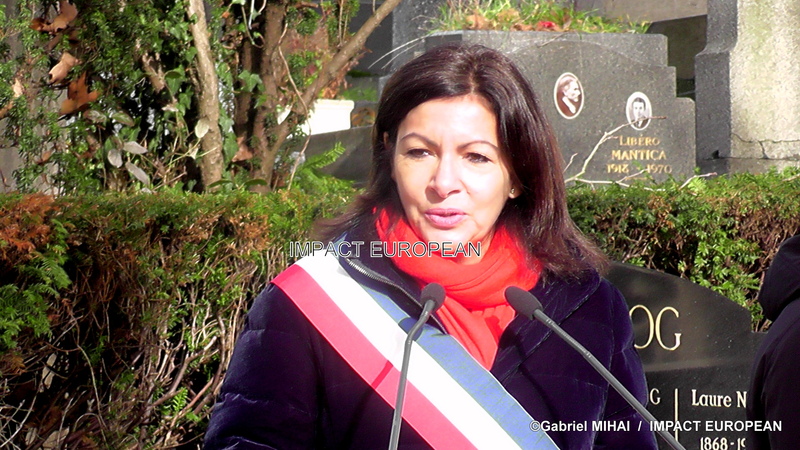 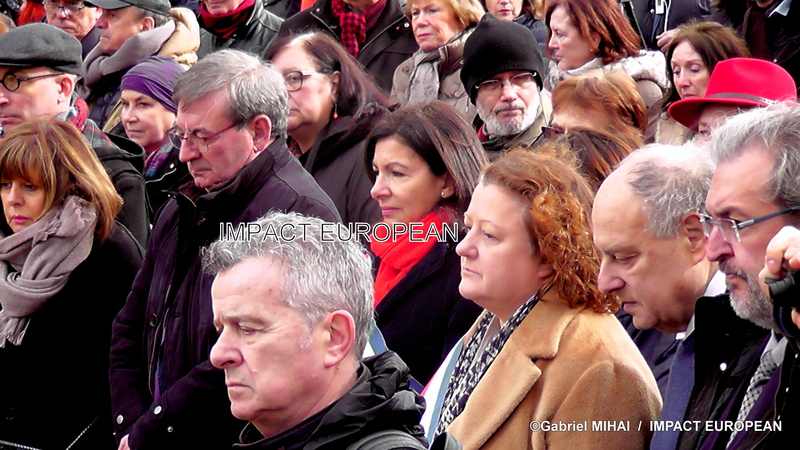 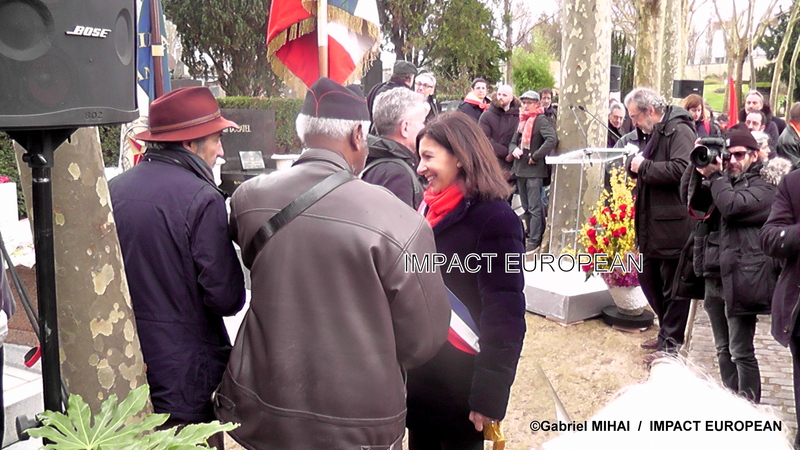 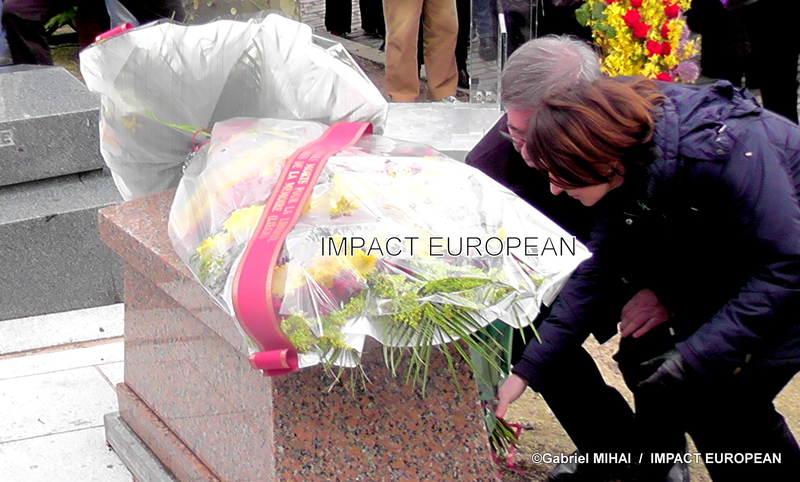 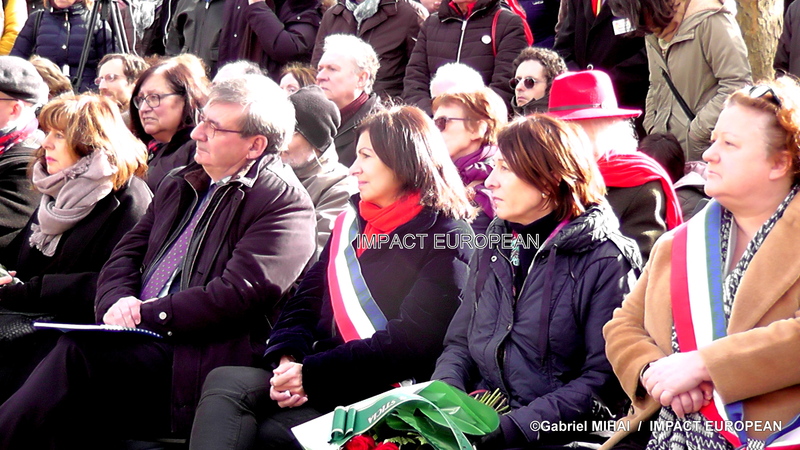 The ceremony was held in front of numerous personalities including the Mayor of Paris, Anne Hidalgo, who testified about this difficult period for her country and her family by evoking personal memories; her assistant in charge of the memory, the combatant world and defense correspondent, Catherine Vieu-Charier; Fernando Martinez-Lopez, Director General of the Historical Memory of the Ministry of Justice of Spain, who accompanied Cristina Latorre Sancho, Deputy Secretary of the Ministry of Justice and President of the Interministerial Commission for the Commemoration of the 80th Anniversary of the Exile Spanish republican; the Mayor of the 20th arrondissement, Frédérique Calandra; Ivan Larroy, of the association MHRE 89 created in 2008 represented the Spanish Republicans of Yonne; Claude Garcia, son of Antonio Garcia, photographer of the Mauthausen camp, mainly for political prisoners (socialists, communists, German and Austrian conscientious objectors and homosexuals, Spanish republicans (60% of Mauthausen deportees in May 1941), intellectual elite Polish, Soviet officers (including political commissars), Allied airmen, British agents of SOE or American OSS, Jews, Roma … 200,000 deportees of thirty nationalities including 9,400 from 1942 and 120,000 died before the closing of the most cruel and deadly camp, in 1945, Véronique Salou, President of the Association August 24, 1944 (La Nueve). 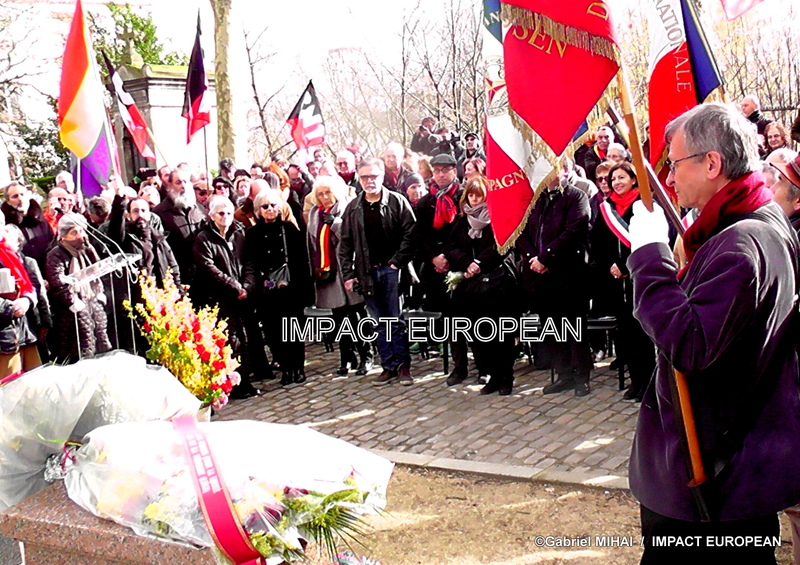 After gathering in front of the Père Lachaise cemetery, the procession headed for the FEDIP monument where the official speakers and the guests intervened successively, interspersed with musical interludes (A las barricadas performed by a choir). 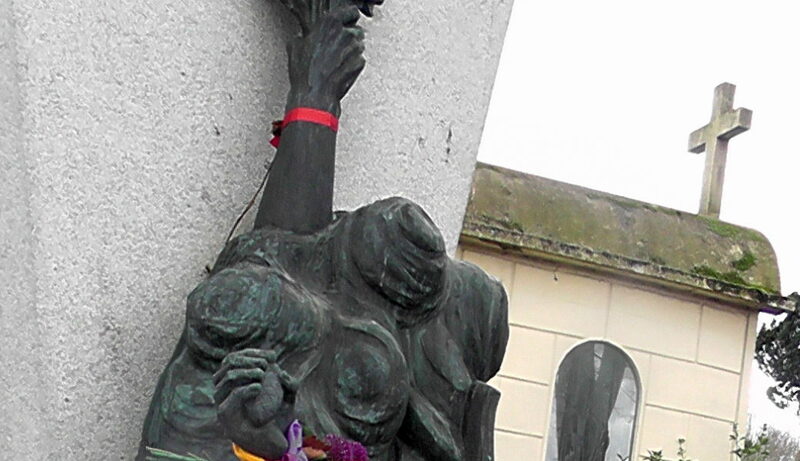 Mauthausen by Juan Vilato, created for the 15th anniversary of the liberation of the camp). 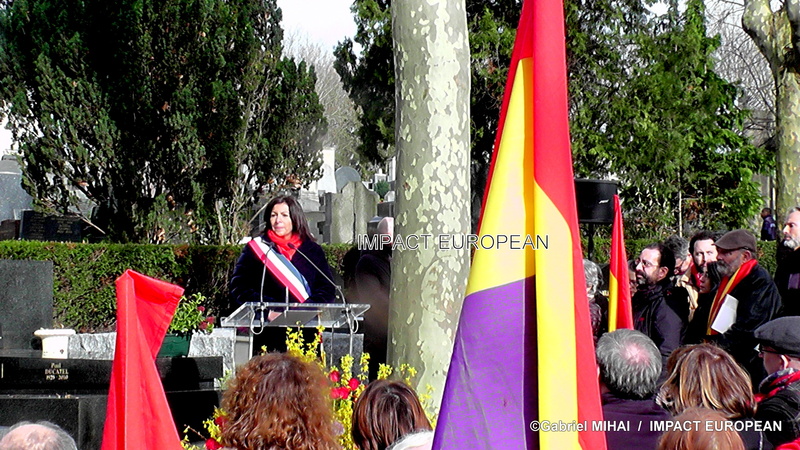 After the laying of wreaths and a minute of silence, a traditional song symbol of freedom “El Cants des Ocells” (the song of the birds) was played by Pau Casals. 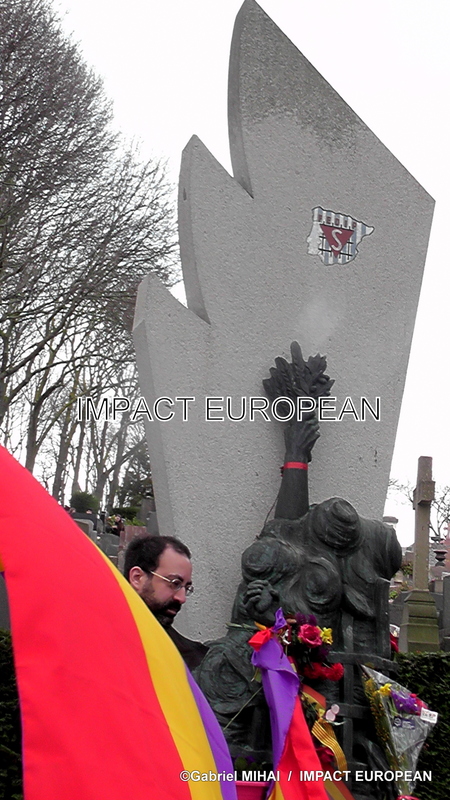 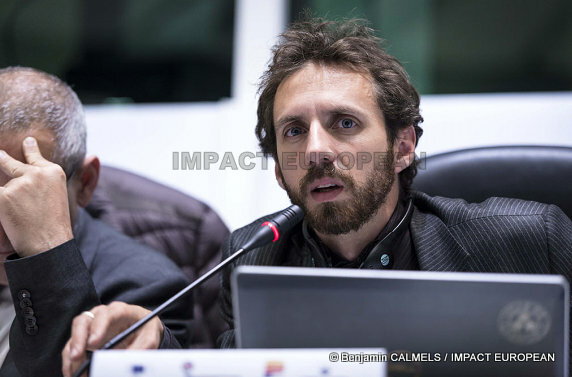 He interprets this piece every time he goes on stage in protest against the dictatorship in Spain. 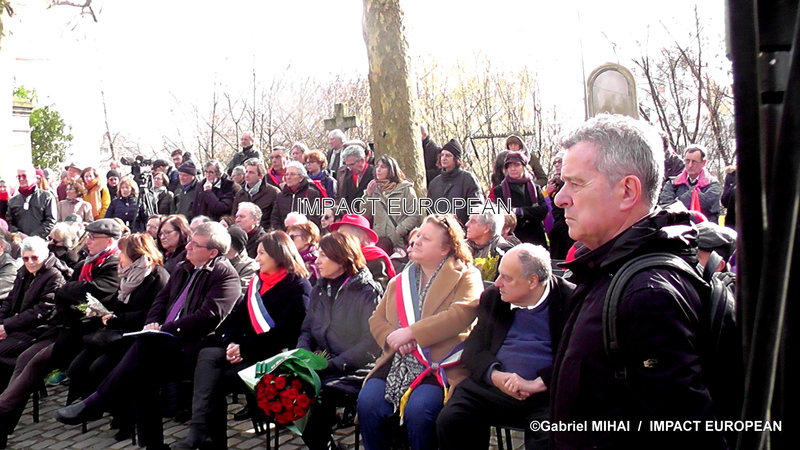 At the end of the ceremony, people who wished could go to the headquarters of the CNT (National Confederation of Labor) for more than 40 years, at 33 rue des Vignoles in the 20th arrondissement where during 2 afternoons, entertainment on the theme “Spanish Memories and Culture to the Future”, were organized in association with “The Wise Footsteps” (Theater (Travel in the Spanish Civil War), film (The Camp of Argelès), Presentation of Work (Women in exile, the Spanish refugees in France from 1939 to 1942), Counter-debate (Camps of concentration and internment French), Guitar recital of Juan Francisco Ortiz, son of Francisco Ortiz, deported to Mauthausen). 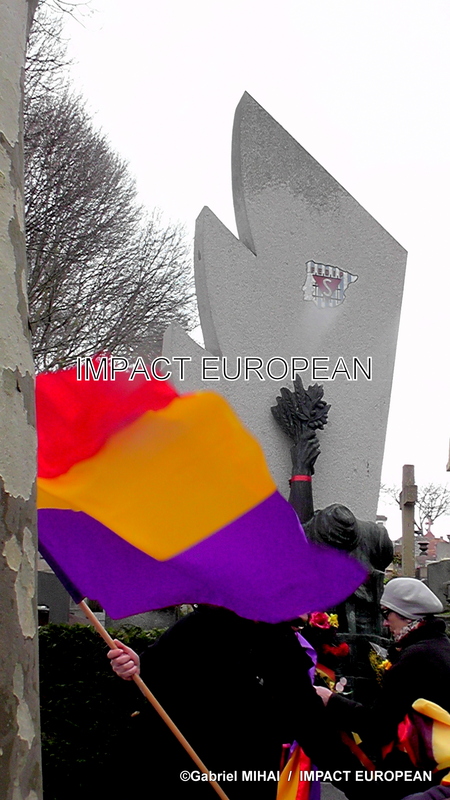 Regarding the Spanish Republicans, many of them had to flee their country in 1936 following the pro-Franco advances and the internal exodus that had forced most of them to take refuge in Catalonia. 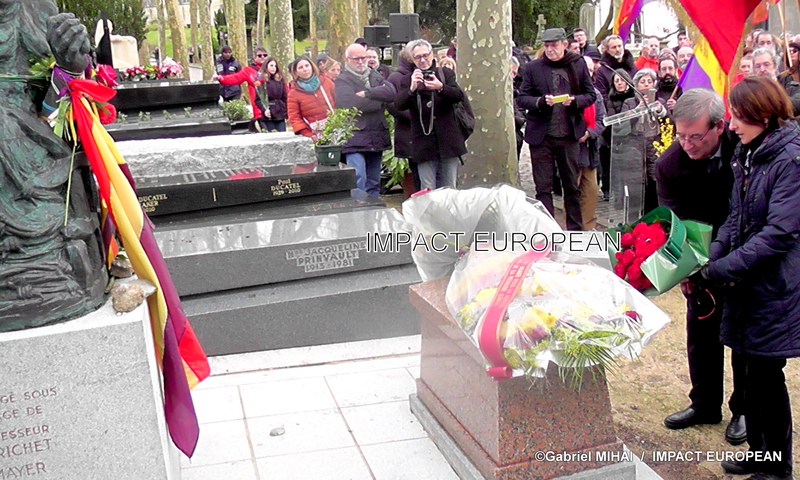 Thus in 1939, after the fall of Barcelona, ​​the Catalan population and thousands of Republicans crossed the French border, they are then joined by the Republican army. 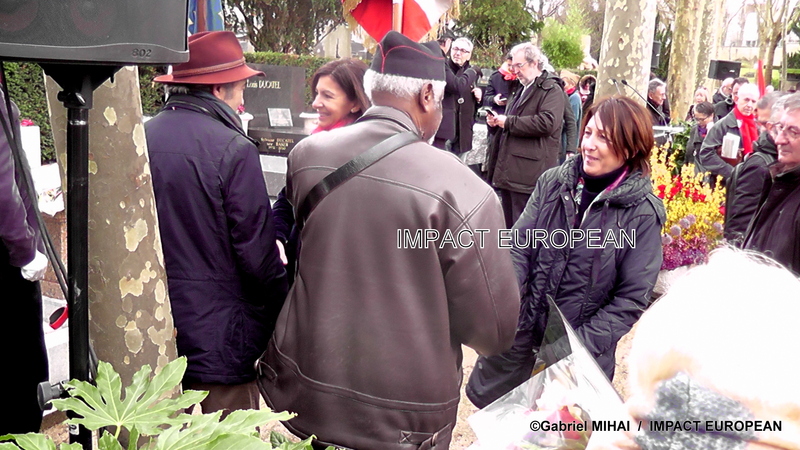 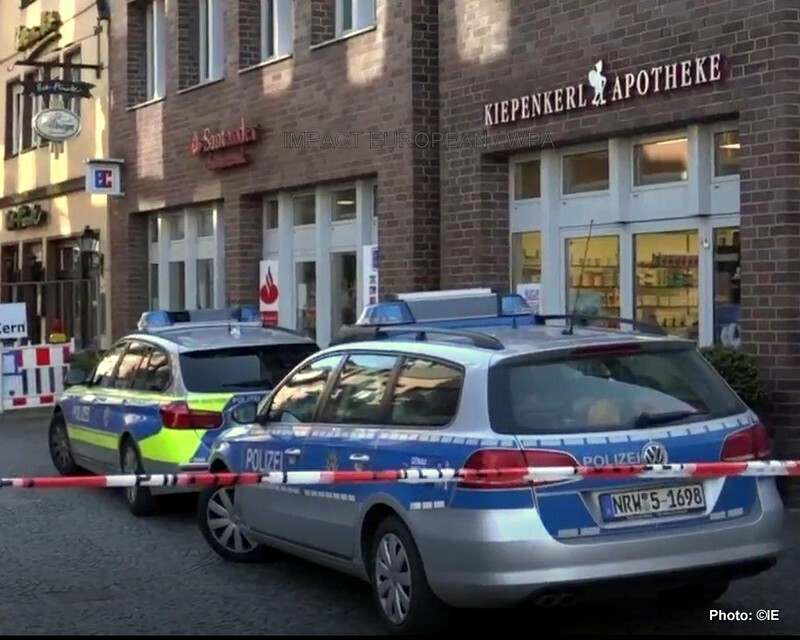 All flee the bombings and have to face, having left without anything and in haste; February 5, the border and open and allows 475 000 people to enter France between January 28 and February 13. 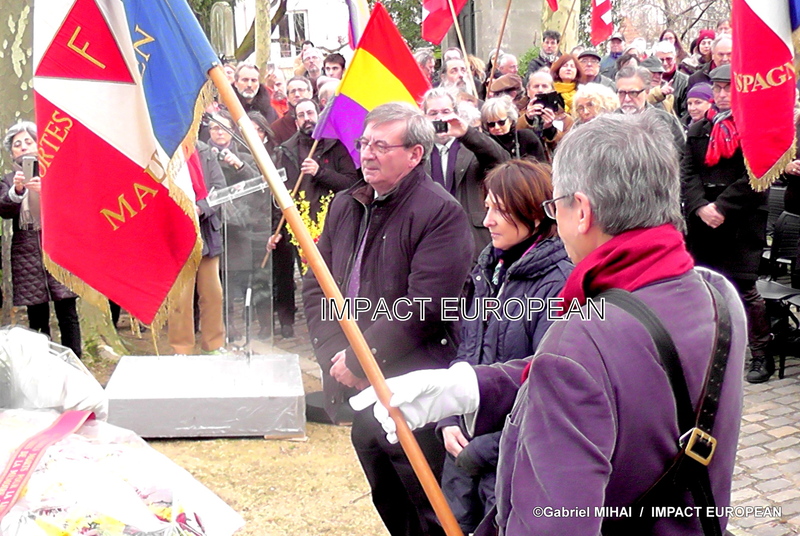 When France was defeated by Germany, the refugees found themselves interned again. 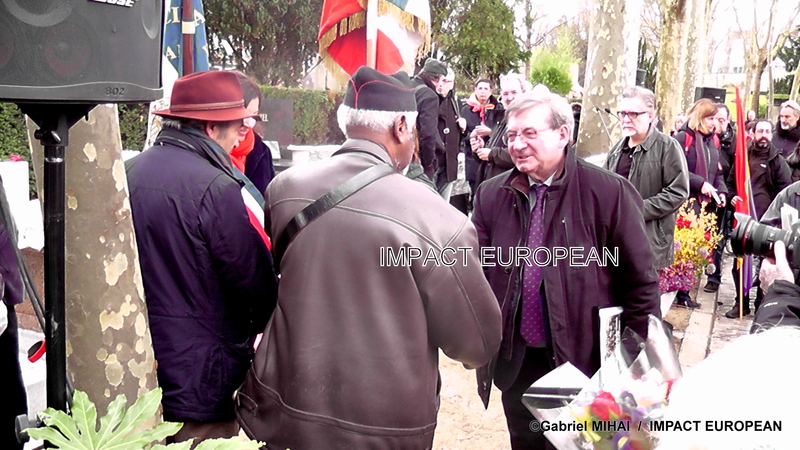 They have been incorporated into companies of foreign workers. 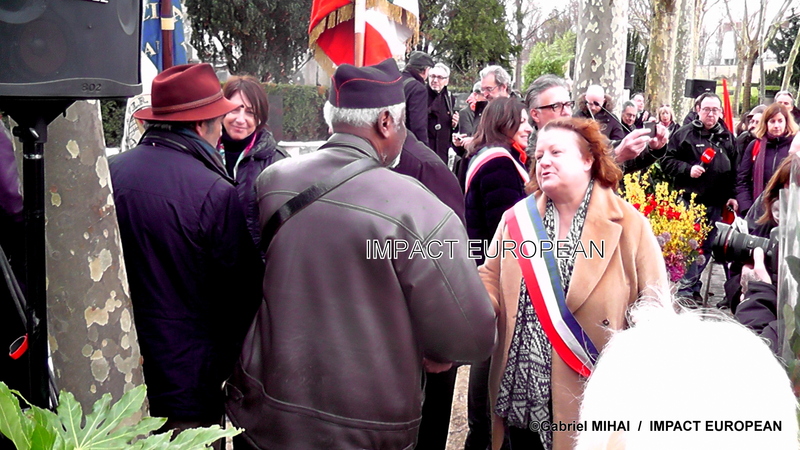 At the end of the war, there were nearly 150,000 refugees in France (some had participated in the liberation of Paris with the Drone column). 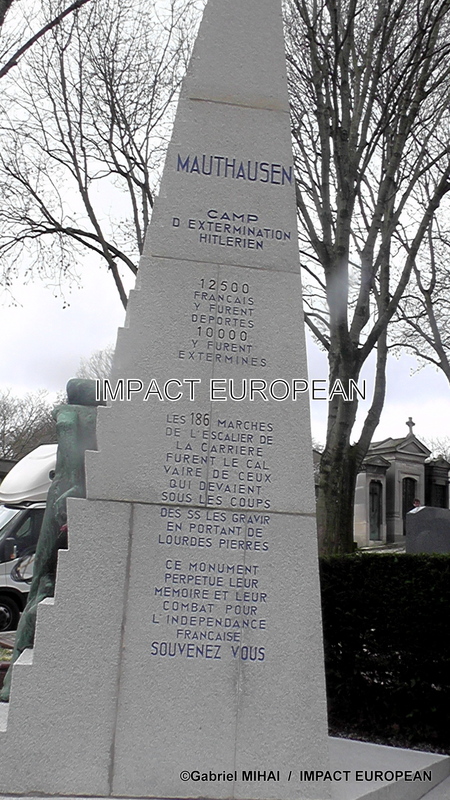 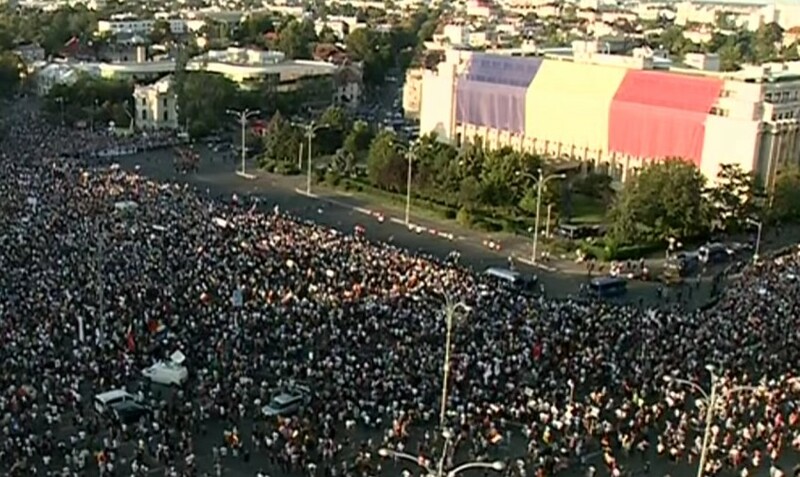 The French Provisional Government then granted them in March 1945 the Nansen refugee status which had been granted to Russian and Armenian refugees in the inter-war period.